Luxury vinyl could be used for residential and light commercial purpose. Vinyl flooring has been transformed in recent years. Traditionally, vinyl flooring meant felt-backed sheets of vinyl tiles that were not very attractive. The product required intensive installation and was limited primarily to commercial spaces. However, a new generation of vinyl flooring is transforming the industry; now, Luxury Vinyl Tile is the fastest growing category in the flooring industry. This is because t’s cheap, durable, and aesthetically pleasing. The durable performance of Luxury Vinyl Flooring comes from the way it is constructed. Luxury Vinyl Flooring consists of basically three layers. First, a high-definition photo of hardwood flooring is printed and glued onto something called the “backing layer.” This backing layer is what rests on the floor, and it is usually made from fiberglass. Next, a clear “wear layer” is placed on top of the photo realistic layer to protect the floor from scuffs and scratches. Finally, this clear layer is textured using 3-D printing technology, which makes the floor feel like its natural counterpart. These layers give the product a natural look while also giving it durability and dimensional stability. FERMA’s Luxury Vinyl Flooring features our Natural Click Collection. 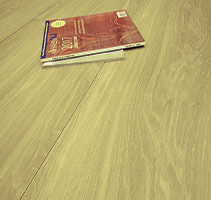 This Luxury Vinyl Flooring is easy to install and aesthetically pleasing. This is because the Natural Click Collection features a floating glue-less installation that takes advantage of an easy to use locking system. The collection includes six domestic and exotic wood patterns that are further backed up by a 35 year residential limited and 10-year commercial limited warranty. 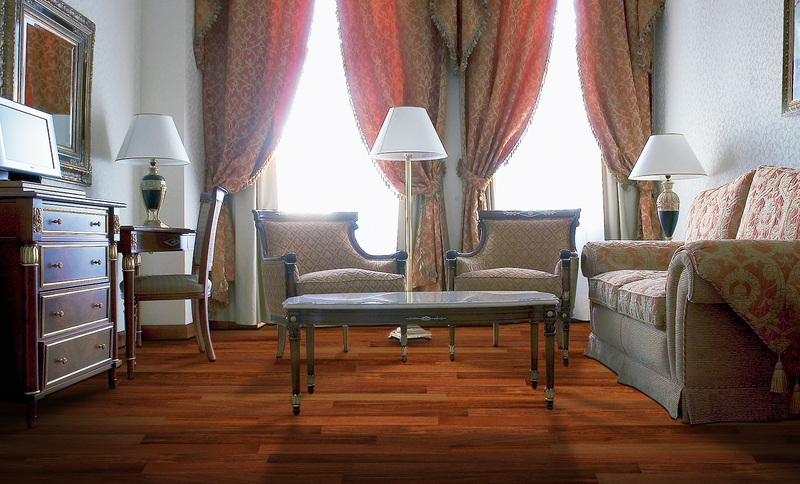 In essence, FERMA’s Luxury Vinyl Flooring couples stunning elegance with rugged performance. You can install Luxury Vinyl Flooring in both residential and commercial spaces. For instance, in residential homes, wet areas like bathrooms, kitchens and laundry rooms are great spots to install Luxury Vinyl Flooring. You can even install our products in basements because it resists moisture so effectively. In addition, its textured surface prevents people from slipping, thereby helping to keep you safe. This makes Luxury Vinyl Flooring great for areas that small children and pets frequent. Our product stands up to muddy paws and running feet. Finally, Luxury Vinyl Flooring is soft underfoot and warm, making it great for cold winter days. The following list shows just a few of the reasons that FERMA’s Luxury Vinyl Flooring is environmentally friendly and a great product. FERMA luxury vinyl flooring could be used for residential and light commercial purpose. Learn more about Luxury Vinyl at Ferma Flooring.